In clinical studies, New Zealand scientists have shown that velvet can support the body’s immune sys tem. Research at AgResearch Invermay, near Dunedin, showed that treating human white blood cells with extracts of New Zealand velvet assisted the immune system, as measured by increased production of white blood cells. This response – immunopotentiation in scientific terms – is the body’s defence mechanism. Increased numbers of white blood cells are produced to aid in the body’s fight against the “intruder” bugs. The NZGIB commissioned AgResearch scientists, in association with Otago University colleagues, to test velvet’s effectiveness scientifically. Traditionally, velvet is used in Asia as a nourishing tonic – especially before winter – to support the immune system. It is an essential part of the “promoting wellness” rather than “curing illness” philosophy, on which oriental medicine is based. 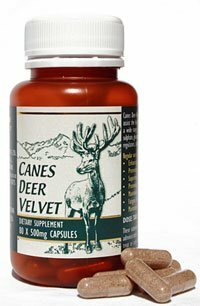 Treatment with New Zealand velvet extract, at varying levels of strength, consistently produced the immunopotentiation response. There were some variations according to the stage of antler growth and section of the antler used.